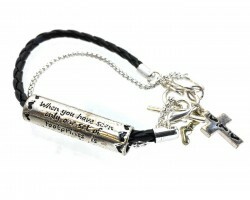 Silver Believe Leather Chain Toggle Bracelet. 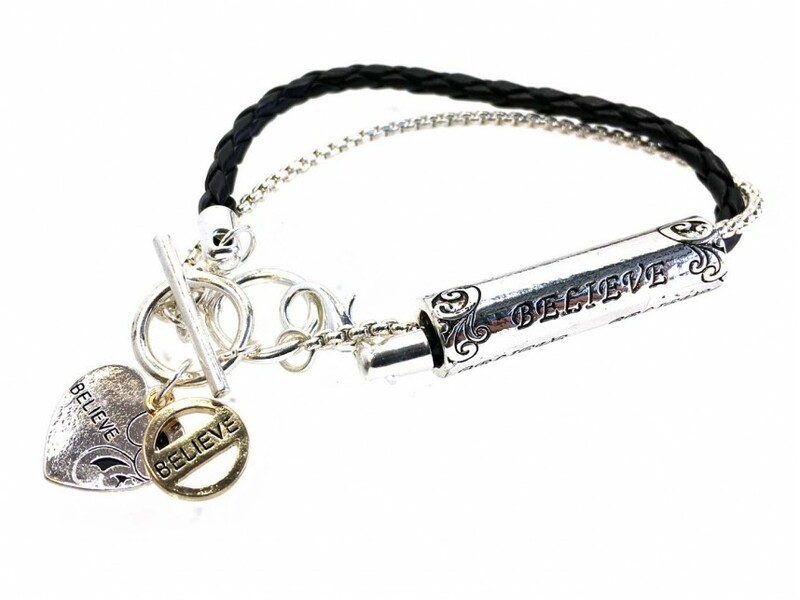 Bracelet has a braided leather band and a rolo chain with a long tube bead that reads: “Believe”. The bracelet has a toggle clasp. There is an antique gold plate charm that reads “Believe”.